Apple showed off a new version of its Apple Watch, the first hardware upgrade for the device, showing the company’s dedication to a product some have said is being held back by its attachment to the iPhone. The new watch includes a faster processor, a brighter screen and a GPS chip for fitness tracking, Apple chief operating officer Jeff Williams said Wednesday at an event that introduced updated products including new iPhones. The company also showed off a number of new apps for the device, including the popular game Pokemon Go. Apple shipped its first watch in April 2015, hoping for a new blockbuster product amid slowing iPhone sales, which contribute more than 60% of the California-based company’s annual revenue. While Apple shipped 1,6m devices from April to June, the product’s growth fell more than 56% from the same period in 2015, according to research analyst IDC. Now, CEO Tim Cook is banking on the new models to reinvigorate interest in the category. The device will be sold in ceramic for the first time, as well as the aluminum and stainless steel variations offered previously, and will come with a series of new bands and colours. The new version includes a GPS chip that allows for running and walking to be more accurately tracked, the company said. 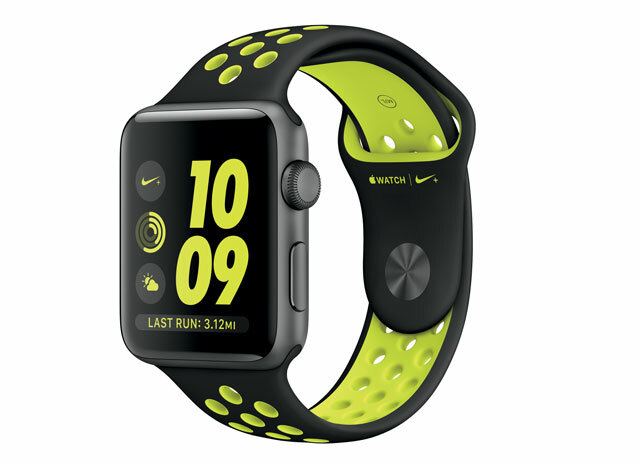 To emphasise the product’s use as fitness device, Apple announced a partnership with Nike for a watch model aimed at runners that is made with a lightweight aluminum case, special band and face. The Series 2, as Apple is calling the new watch, also is “swim proof” because it is water resistant to a depth of 50 metres, Williams said. The new models will start at US$369, a $20 increase from the initial entry-level pricing of the first version of the device. Apple also said it will continue to sell the original models, updated with the new faster processor of Series 2, at a starting price of $269. The first Apple Watch was introduced alongside the iPhone 6 in September 2014 to much fanfare. 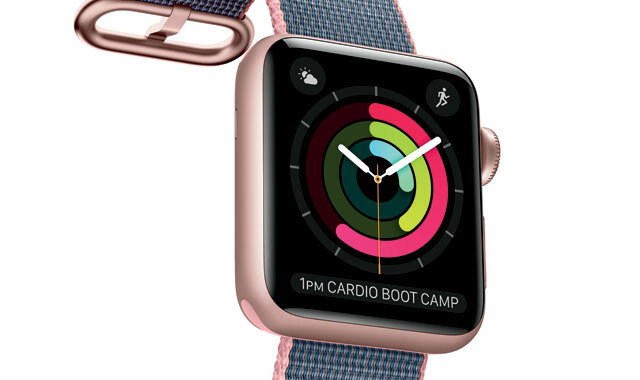 It was initially marketed as a combination fitness companion, timepiece and communications device, but Apple has since shifted to emphasise fitness and at-a-glance-information. After initially positive reviews, users have complained about issues related to the speed of launching apps, but the new models and software are likely to address these early problems.